Are you planning to travel the world in 80-days? Will you be visiting countries both large and small? Do you want to be prepared to communicate in every possible major language? Then the jalada Language Alchemist is the choice for you. Perhaps it is the only choice that will live to your expectations. 26 of the world's major languages are included in this dictionary, which can be extended smoothly at any time. No other dictionary offers as many languages as the Language Alchemist. It lives up to its name in every respect. jalada Language Alchemist contains an embedded multilingual dictionary with 26 languages included. This means, you can switch between more than 400 individual dictionaries. Moreover you can extend the available vocabulary any time by adding further dictionaries. Mastery Over Vocabulary is Just One Click Away! you run the risk of misunderstanding the information you're reading. Whether you're a student or a professional - this could have serious consequences! you now have the power to check that word...in seconds. The Alchemist works so quickly, you won't even lose the flow in your reading. such as Safari, Preview, Keynote and Pages. Translate Straight Out Of Your Favorite Application. You are able to start a translation with just one mouse-click while you are working in other applications or documents. For this simply select the word or words within your document you are searching for, open the contextual menu and choose "translate the selected words". The jalada Language Alchemist starts automatically and presents the appropriate translations to you clearly in a separate window. There is no need for complicated additional typing or "Copy&Paste" operations and you can concentrate yourself on the most important, namely reading your text. Generally the jalada Language Alchemist automatically recognizes the language of a word and translates it to the language you have set up in the system preferences of your Mac. However you can change this behavior at any time and adjust the language settings accordingly to your specific needs. Local vocabulary - Best performance. In order to translate words and terms you don't need an Internet connection, because the whole vocabulary of the Language Alchemist X is available local on your hard disk. You can use the Language Alchemist anytime and anywhere you want. • Optimized to work with Mac OS X High Sierra. 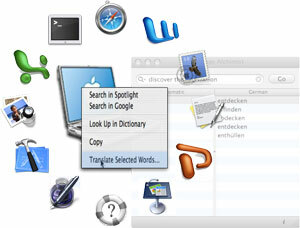 Language Alchemist is a well-designed, easy-to-use dictionary for the Mac to translate foreign language texts. What are the system requirements for Language Alchemist? Language Alchemist requires a Mac with OS X Snow Leopard or later. Where can I buy Language Alchemist? Language Alchemist is available to purchase for $9.99 via on the Mac App Store. What can I do, if I get varied translations for one word? Some words can exist in other languages as well and have completely different meanings e.g. in German "die" is an article while in English it means "someone has come to death". If you have set your source language to "Automatic", the Language Alchemist shows you all meanings in every language it finds. To get a unique result, please change the source language from "Automatic" to a concrete language, so that the Language Alchemist is able to pick only words from one dictionary. What can I do, if the Language Alchemist cannot translate the word? There are several reasons why the Language Alchemist might not translate your input. You can find numerous hints in the help system which guides you to still get a translation. I use Adobe Acrobat Reader and cannot start a translation. What goes wrong? 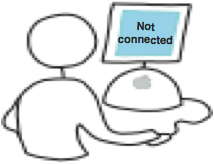 Unfortunately Adobe does not support the standardized concept of Apple to extend a contextual menu. Nevertheless you are able to start a translation straight out of PDF documents. For this please open your PDF with the "Preview" application. The "Preview" application is part of every Mac OS X distribution and is so available on your Mac. To learn more to this topic, please look into the help system of your Language Alchemist. I lost or deleted my license. What can I do? If your license got lost, then just write us an e-mail and we take care that you get back your license. My demo version has expired, how do I obtain a license? To obtain a valid license is very easy. Either visit our Online-Store and purchase directly online a license or ask your local software dealer. What is Language Alchemist’s update policy? jalada is serious about improving Language Alchemist. Therefore, 2.X.X minor and 2.X major updates are released regularly. The minor updates focus on bug fixes and performance improvements while the major updates also include new features. What’s more, all of the 2.X and 1.X.X updates are free. How do I learn Language Alchemist? Learn Language Alchemist by exploring the Language Alchemist Tutorials website for text and video tutorials that will help you get started, or find useful tips and tricks to get the most out of the Language Alchemist features. Language Alchemist comes with In-App Help that includes an overview of nearly every feature in Language Alchemist, instructions for completing tasks, and keyboard shortcuts to help you accomplish things faster. Language Alchemist Help is updated with almost every minor release of the software. Choose Help > Language Alchemist Help to open the Language Alchemist help window. Discuss ideas, share tips and solutions, request features, or share tutorials with fellow Language Alchemist users in Language Alchemist Discussions. Where can I get help using Language Alchemist? Post your questions, look for answers, and find friendly responses on any basic or advanced image-editing-related topic in Language Alchemist Discussions. Language Alchemist comes with In-App Help that includes an overview of nearly every feature in Language Alchemist, instructions for completing tasks, and keyboard shortcuts to help you accomplish things faster. Language Alchemist Help is updated with almost every minor release of the software.